HI!! Aphmau <3 slime=cool man (im sorry. but seriously.) I'm DONE=not meh. tive, bcuz I'll be on a trip. "I feel for you but when did you believe you were alone?" 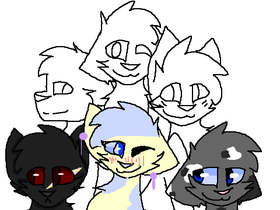 Add Your Cat OC To The Squad!